Prof. Amit Gefen received the B.Sc. in Mechanical Engineering and M.Sc. and Ph.D. in Biomedical Engineering from Tel Aviv University in 1994, 1997, and 2001, respectively. During 2002-2003 he was a post-doctoral fellow at the University of Pennsylvania, USA. 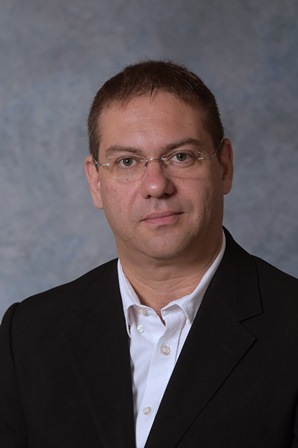 He is currently a Full Professor with the Department of Biomedical Engineering at the Faculty of Engineering of Tel Aviv University and the Herbert J. Berman Chair in Vascular Bioengineering. The research interests of Prof. Gefen are in studying normal and pathological effects of biomechanical factors on the structure and function of cells, tissues and organs, with emphasis on applications in chronic wound research. In 2007-2008 he was a visiting scientist at Eindhoven University of Technology in the Netherlands, where he developed tissue-engineered model systems to study pressure ulcers. To date, Prof. Gefen published more than 200 articles in peer-reviewed international journals, many of which on mechanobiology, cell and tissue biomechanics, with applications that are mostly in chronic wound prevention. He was awarded the best paper awards by journals such as Medical & Biological Engineering & Computing and Medical Engineering & Physics. He is the Editor-in-Chief of Clinical Biomechanics (published by Elsevier), and has also edited several books (published by Springer and others), and several Special Issues in journals such as the Annals of Biomedical Engineering, Journal of Biomechanics, Computer Methods in Biomechanics and Biomedical Engineering and more. He is also editing a book series on Mechanobiology, Tissue Engineering and Biomaterials (published by Springer), and has served as an Associate Editor or at Editorial Boards of several international journals which are ranked at the top of his field, e.g. PLoS One, the Annals of Biomedical Engineering, the Journal of Biomechanics, Medical Engineering & Physics, Computer Methods in Biomechanics and Biomedical Engineering, Journal of the Mechanical Behavior of Biomedical Materials, the Journal of Tissue Viability, Ostomy Wound Management and the Journal of Wound Care, to mention a few. In 2015, he was awarded the Editorial Excellence Award by the Annals of Biomedical Engineering and the Biomedical Engineering Society in the USA. Prof. Gefen has been the President of the European Pressure Ulcer Society (the European Pressure Ulcer Advisory Panel, EPUAP, www.epuap.org) in 2013-2015. He is a member of the World Council of Biomechanics and a Fellow of the International Academy of Medical and Biological Engineering and the European Alliance for Medical and Biological Engineering. Prof. Gefen was awarded the Pressure Care career award by the World Union of Wound Healing Societies in 2016 and the Experienced Investigator Award of EPUAP in 2017. His research is funded for example by the Israel Science Foundation, Israeli Ministry of Health, Ministry of Science, Ministry of Defense and national as well as international corporates. Prof. Gefen is advising and reviewing for funding bodies worldwide including the European Commission. He also serves as a scientific advisor to the global medical device industry.